Norwood resident Devin Powers produces catchy atmospheric electronic music. Devin Powers, AKA SineRider is no stranger to ambient and chillout music alike, with a Silk Music EP containing seven original tracks and a remix of the legendary Japanese phenom Shingo Nakamura. The Norwood abstract beat maker has also appeared on the Archivesdubs music label with an album and several compilation contributions. Devin is also a Sun Sea Sky Productions resident artist, with many EPs and albums over on the label. SineRider’s latest EP, entitled “Lonely Ocean” is out on Sun Sea Sky Productions now! My favorite track on this release is “Carry On” as notated on Bandcamp. Dreamy, complex rhythms for those cold days we have been having lately…. SineRider also contributed three new original tracks to the organic “Of Tree” Sun Sea Sky compilation not too long ago, of which, “Redwood” is my favorite, featuring heavenly downtempo melodies to allow a deep sense of relaxation. Fresh off his latest Sun Sea Sky EP entitled “Lonely Ocean”, maestro US producer SineRider (Devin Powers) contributes the last set of three unforgettable tracks to this release. Devin truly chases nature, barking up the trees with “Braches,” “Kindling,” and “Redwood.” “Branches” features deep inspired pads as Devin further explores the tree. In “Kindling,” SineRider transitions to his roots, with heavy catchy beats, before we are left with a brief silence. The last track, entitled “Redwood” features a heavenly downtempo melody to inspire the listener. AG: Can you provide a little context to choosing the title, “Lonely Ocean” for your latest Sun Sea Sky EP release? AG: Who is the most under-rated artist right now? Additionally, if said artist has a massive album backlog, what album conveys the artists’ talent the best? SR: Chihei Hatakeyama comes to mind. I remember picking up his album “Minima Moralia” years ago in a record shop and really being blown away. His ambient music is so calming and textural. It’s something that I’ve been trying to emulate since discovering his music. Some of my favorites are “Grace,” and, like I mentioned before: “Minima Moralia“. AG: When you have an idea for a track, where do you start? SR: It can really start anywhere. Sometimes a musical fragment can pop into my head, or I might have just listened to something inspiring. However, most of the time my tracks start with just playing around with an instrument or one of my synths. Over the years I’ve collected quite a few synths and instruments. I like to use them for inspiration or jumping off points before moving onto my computer and software. AG: Is there a specific track that convinced you to move music ahead of other priorities in life? SR: I can’t think of one specific track. Around when I was working on “Lifecycles,” I think, is when I started to take [this] a bit more seriously. Now I have people actually paying attention to what I’m doing. It’s still a really weird feeling knowing people are listening to my music. I mean there is so much music in the world to listen to and they choose mine. AG: The unavoidable: have you ever listened to the psychedelic trance artist, Sinerider? I’ll always be partial to SineRider, but I do find it a little odd that there are two of you with the same artist name. SR: I have! It’s unfortunate we share the same artist name. The worst part is most music services don’t separate us into two pages. I think most people can tell the difference between our tracks though. I had seriously considered changing my name before ‘Lifecycles’ was released! AG: Can you describe what it was like to remix Shingo Nakamura‘s legendary track, Hakodate, and make it into a blissful downtempo remix track on your Silk EP, “Twilight”? SR: That was a very fun remix to do. I remember getting the stems and picking out this pretty little melody line in the original. I built the entire remix around that line. That’s usually how I approach a remix project. I take what jumps out at me and try to create something new with it. AG: Can you talk a little bit about an artist or two that inspire you to create your dreamy productions? SR: I’d like to start with Ulrich Schnauss. I took quite a bit of inspiration from his absolutely stunning productions. “Goodbye” is probably my favorite electronic album of all time. The music and production is absolutely stunning. I strive to someday make something that good. I feel like you can hear a lot of his style in my releases: “Lifecycles,” and “Seconds Minutes“. More recently, I’ve been on a big Geotic kick. I feel like a lot of the tracks on ‘Lonely Ocean’ stem from listening to his works. It’s a style I really wanted to explore more. Stand out albums for me are “Abysma” and the gorgeous “Mend“. AG: Do you have any unique approaches or tips to relaxation that more people should consider next time they have some free time to reflect? SR: It’s hard to say, everyone has their own way of unwinding. When the weather is nice, I personally like to sit on the back porch and listen to music. I also find just playing around with my guitar and some pedals to be very relaxing. When I make a really nice sounding loop with my pedals, I use it for meditation. AG: What album is on repeat at SineRider HQ that more people should be enjoying? 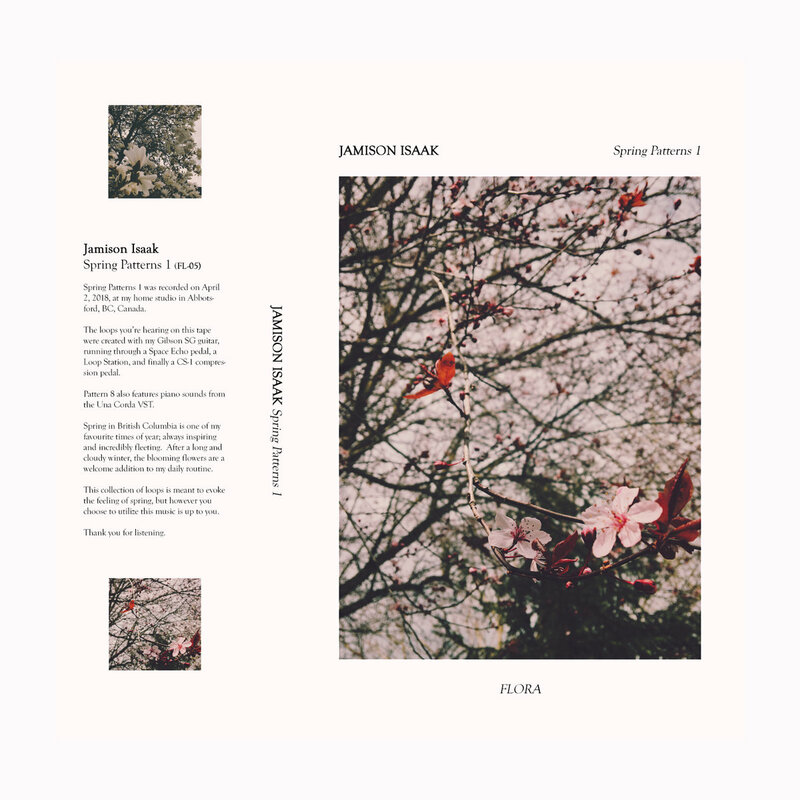 SR: One release I have really been enjoying recently is “Spring Patterns 1” by Jamison Isaak. It’s a beautiful release of guitar driven ambient tracks. Each track is repetitive, but in a very meditative way. I highly recommend it! AG: Last but not least: Can you talk a little bit about the ideas for the three downtempo tracks that you contributed to the truly unique “Of Tree” Compilation that released on the Sun Sea Sky music label earlier this year? SR: When we started the project, we shot emails back and forth between the four of us [SineRider, Mokhov, Data Rebel, Melorman] and Shawn from Sun Sea Sky Productions. When we decided on a theme (forest/nature), I got to work. I feel like electronic music generally doesn’t give off the vibe of nature. For my pieces, I tried to use field recordings and found sounds to flesh out the tracks and give them a more organic feeling.